Lately I've felt like I'm running on overdrive. Last week involved the biannual kids consignment sale (I got some great bargains as usual) and getting all the Kate Spain Charm Swap Round 2 packages out in the mail. We've also been on a bit of a spending spree lately and the 1st new arrivals was picked up on Saturday. 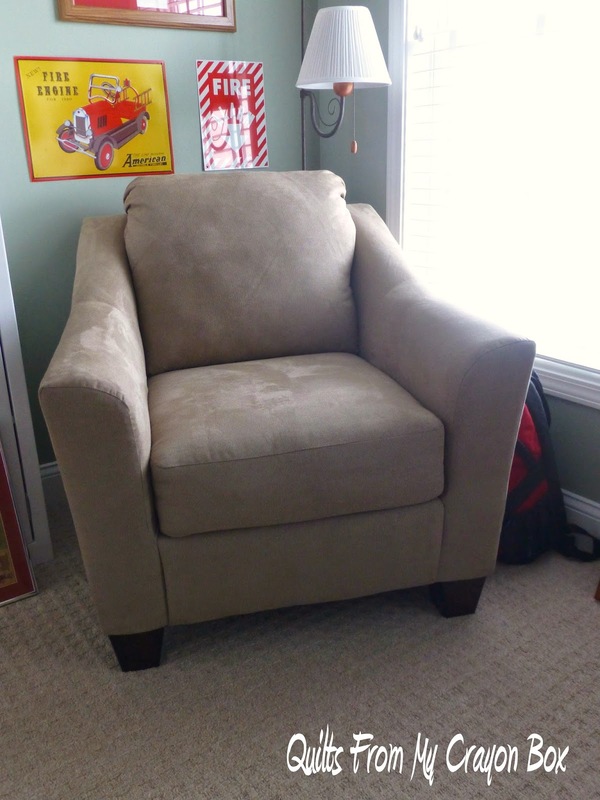 This comfy chair now resides in the office. We weren't planning on buying a chair this month but it was on clearance and we had been looking for one for a few years now. The other big change here involved this. It is Sunshine's room as it looked up until last night. Plenty of purple, pink and princess type things in there. The big change involved this. It is gone, moved onto a new home. 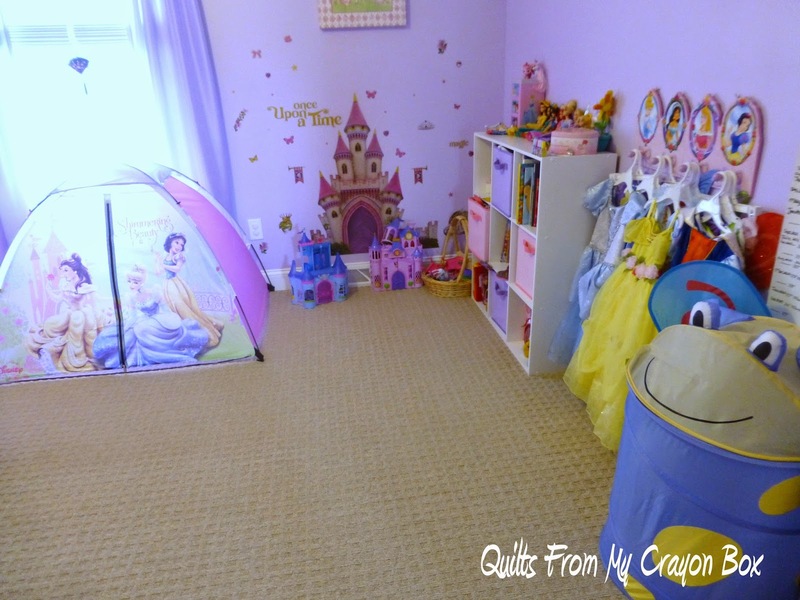 And this is what her room looks like now. 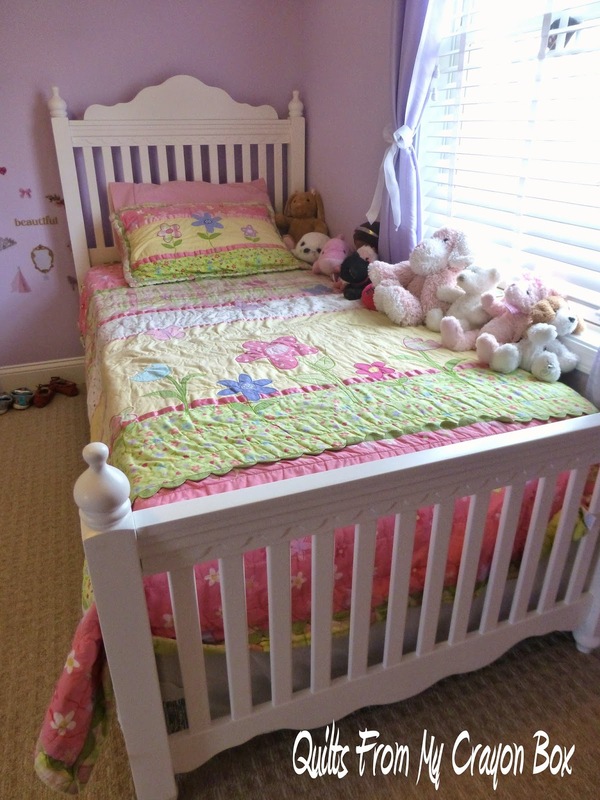 She was ready to move into a big girl bed and we found a great deal, also on clearance, at a local furniture store. I even got an awesome deal on the quilt and sham. $10 at the consignment sale. It fit the bill and will be just fine until I can make her a quilt of her choosing. 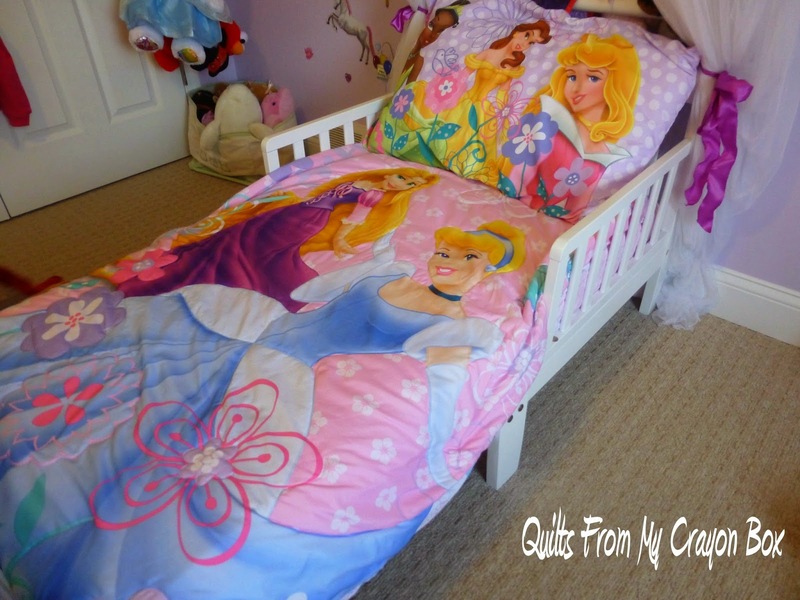 I grabbed the tailored bed skirt at the local big box store but I don't like it. I think it needs a ruffled one instead. Thankfully this one was cheap so it won't be a big deal to replace it down the road. 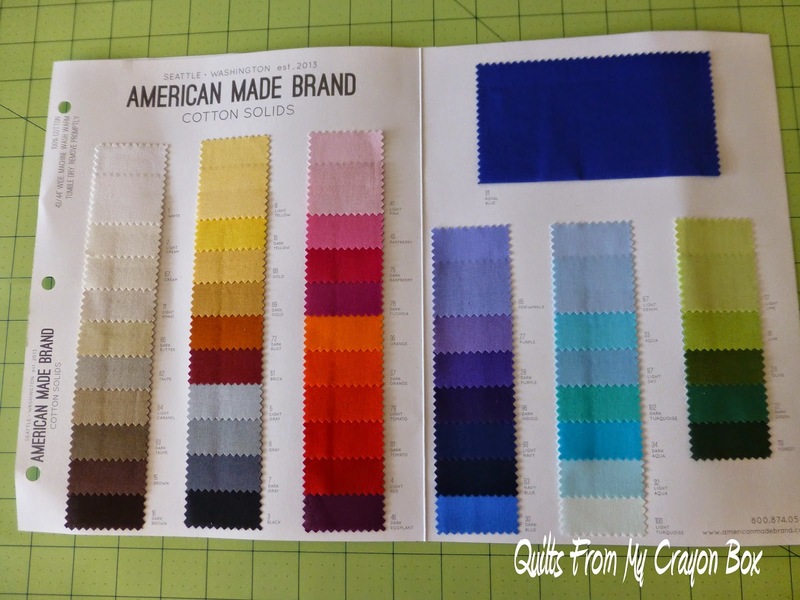 My prize from the MQX Quilter's Facebook Meet Up arrived but I haven't had a chance to try it out yet. On Sunday I met my friend Liz at the World of Quilt show in Somers, NY. I'll share the pics I took of the quilts later. We had a great time and there were a bunch of vendors but I only came home with a few fat quarters. 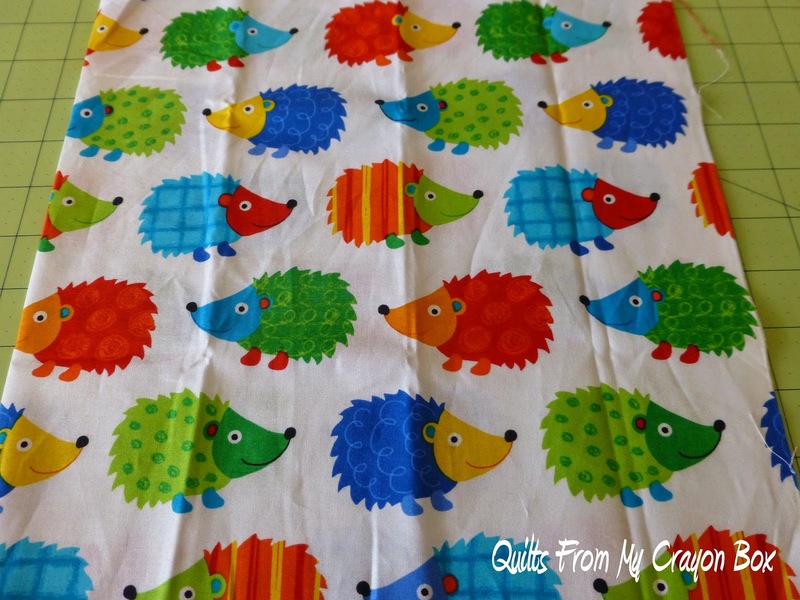 I also spotted this hedgehog fat quarter and had to get it for Sunshine. Because one of her Lego Friends kits had a hedgehog in it, she now likes them. She has never seen a real one. This afternoon I tried something new. This is a practice piece, to learn the steps and to work out my mistakes. 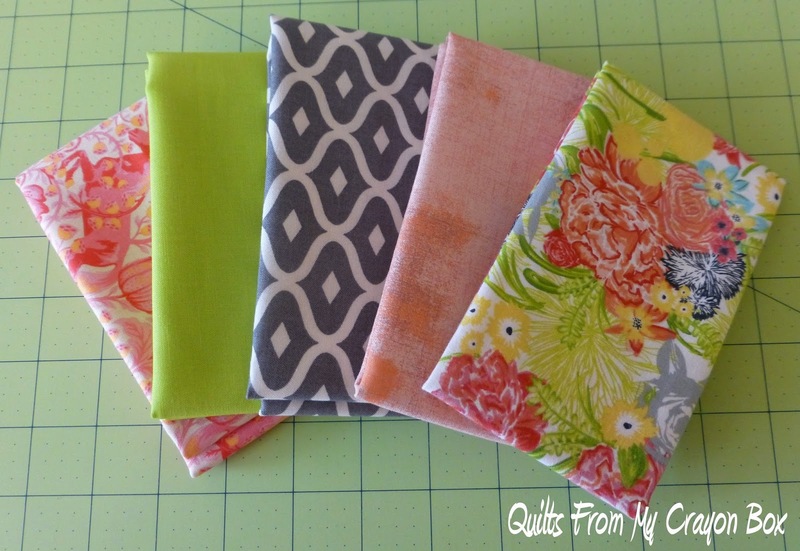 I'm also formulating a plan that will use some of these pretty fabrics. Have you heard about them and the big event that is coming up? I'll fill you in soon enough but for the moment I've got to sign off and go pick up the kidlets. Later! Wow! You have been busy!!! The "big girl bed" is wonderful!! Big step. Let me know how you like the iron. 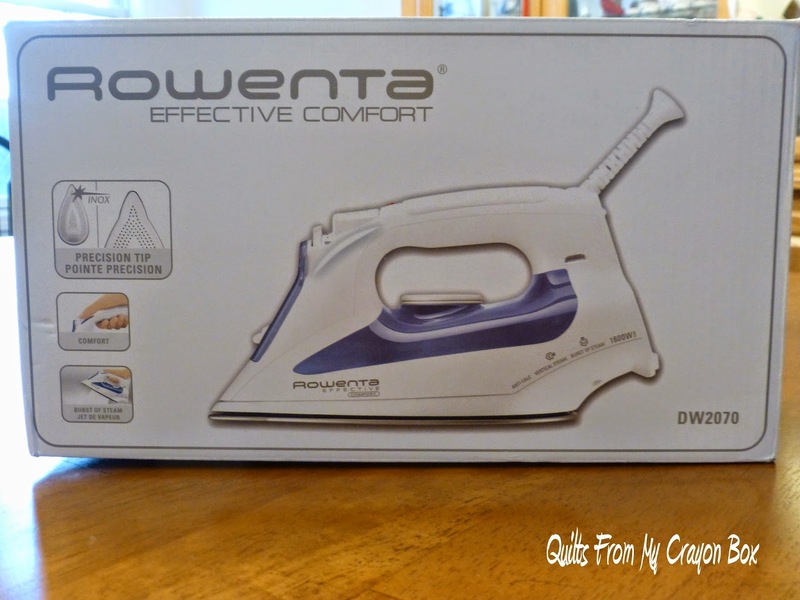 My Rowenta is 20+ years old!!!! and I'm seriously looking for a replacement. I don't use steam so am looking at a smooth/no steam holes iron on Amazon. 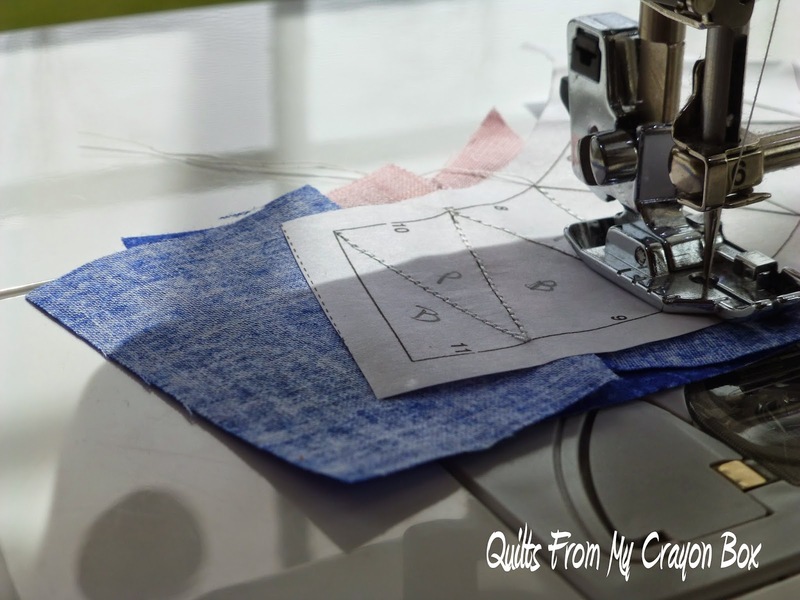 The steam holes have a troublesome habit of getting "snagged" on seam allowances that come together in one spot when I iron the back/wrong side of a quilt top. The little girl is growing up. I just received my American Made bundle and can't wait to play with it. 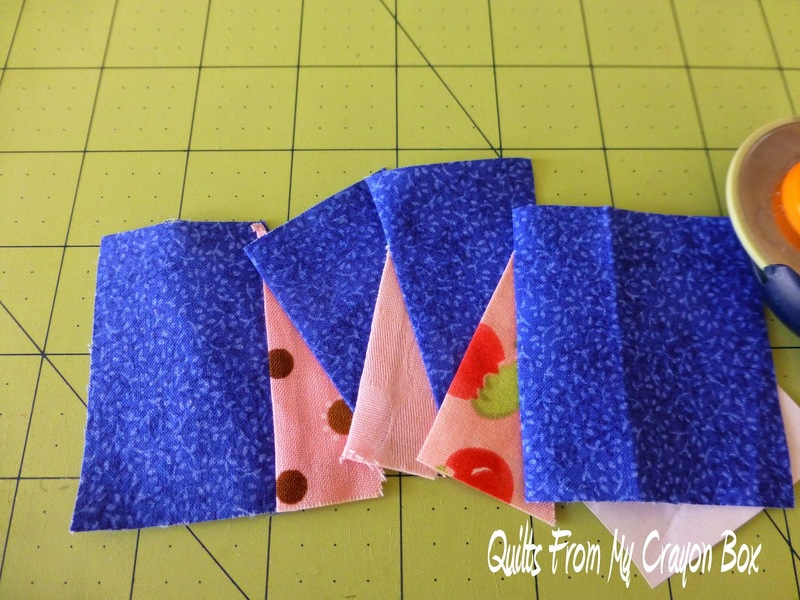 Good for you for trying paper piecing! Hope you learn to love it as much as I do. looks like you're off to a good start. lovely room and goodies for you, yay for winning the new iron! and isn't FPP fun? 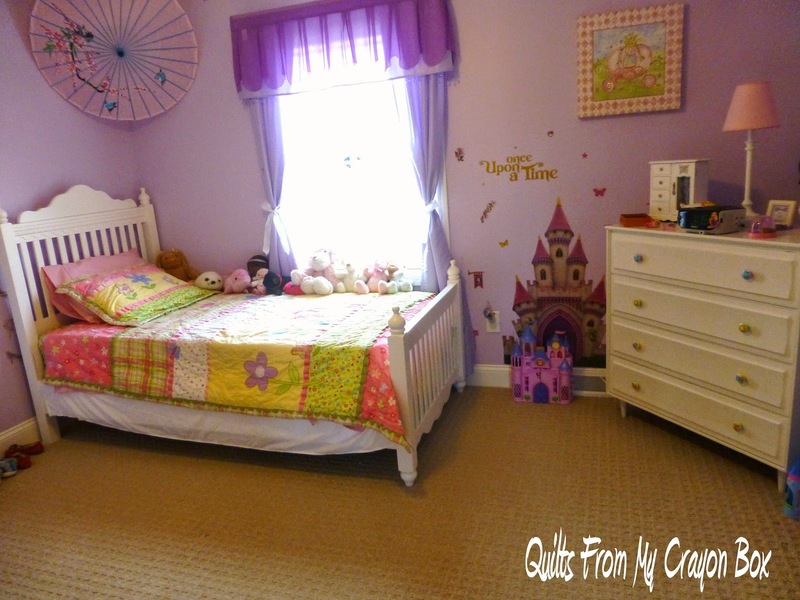 What a pretty "big girl" bedroom! Wonderful change for the growing girl! :) Can't wait to see what you do with those fabrics, too.